Designed to be added to your ring binder... if you've not got a binder, why not order one today? 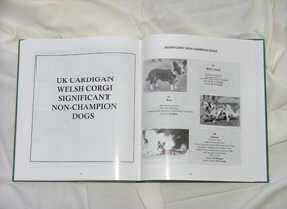 The pedigree pages contain colour photos. 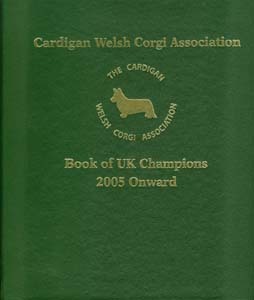 2005-2011 Updates with ring binder These pages show pictures, pedigrees and breeding details of Cardi Champion dogs dating from 2005 thru November 2011. 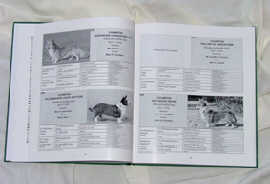 Pedigree Section - 266 Champion images and pedigree grids. 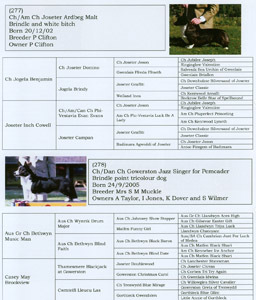 Non Champion section - 45 images of non Champion dogs who contributed to the development of the breed. 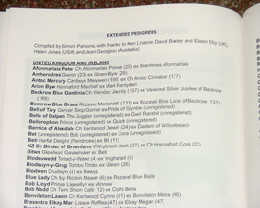 Index section - Index to champions with picture reference numbers. Ring binder alone If you are need of a binder, you may order one by itself. These are a custom size 9" by 10", dark green with gold embossed text.